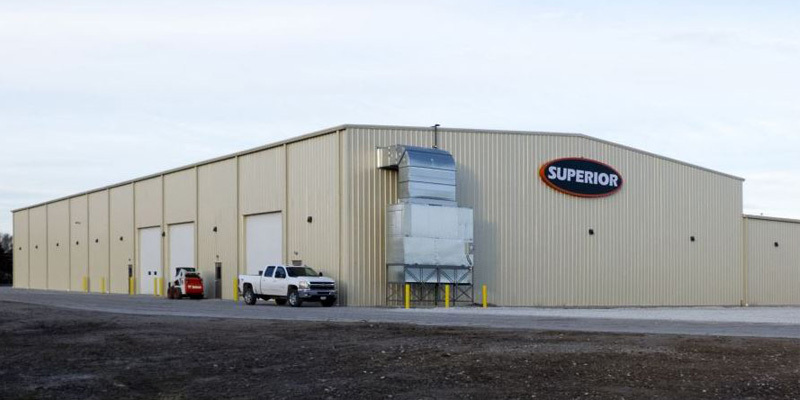 Superior Industries – B-D Construction, Inc.
B-D Construction, Inc. provided complete project design and engineering services as well as general contracting on this project. We added just under 40,000 SF to the facility, bringing the entire plant close to 100,000 SF in total. We added 20 overhead cranes to the new and existing buildings. Detailed engineering and construction was required to allow the existing cranes to run back and forth between the new and old building. All the runways between the new and existing buildings were tied together to create one plant. By self-performing a vast majority of the work on this project, we were able to keep the owners’ costs down and completed the project in 6 months’ time.